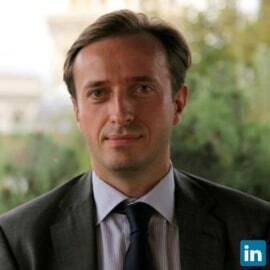 Thomas Pellerin is a Principal Investment Officer with IFC’s Manufacturing, Agribusiness and Services department based in Paris, France. Thomas leads IFC’s business with European companies investing in emerging markets, and is in charge of originating, structuring, and executing of debt and equity transactions. Thomas has led large investment teams and complex transactions in Emerging Markets, including Africa, Latin America, Eastern Europe, and East Asia. Prior to joining IFC, Thomas was a Manager with Deloitte & Touche's Emerging Markets Group in Washington, DC. He started his career with BNP Paribas and Crédit Agricole Corporate and Investment Bank in Singapore. Thomas is a graduate of Georgetown University's School of Foreign Service and Université Paris-Dauphine.